Looks like we're going to have some amazing weather without too much wind for the weekend! 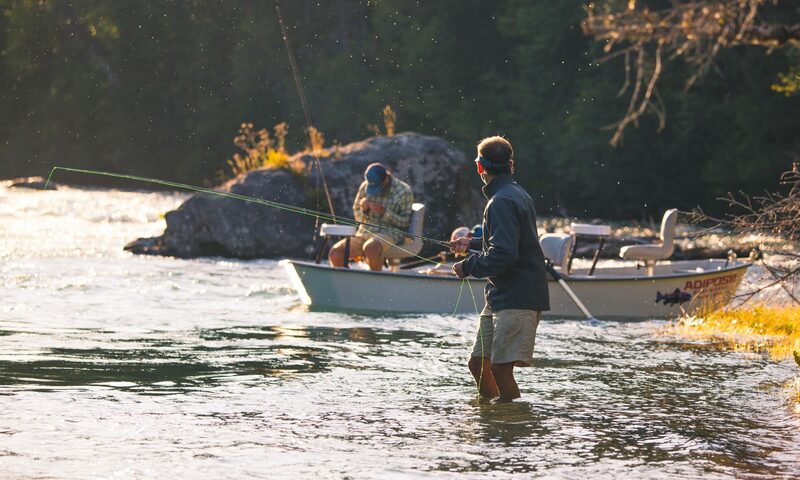 We're finally in to our warm summer weather, so be prepared for fishing to slow down in the afternoon, but the mornings and evenings will be great. With this warm weather we've also started to see hoppers showing up, so make sure to have them in your box! Besides hoppers, chubby chernobyls, chernobyl ants, CFO's, glommers, and stimulators have all been working great. For the middle of the day when things get slow, it's best just to get down to the fish and nymph for a bit. A stonefly anywhere from a size 12 to 6 with a pheasant tail dropper will get the job done. Streamers have also been picking up some fish as long as the fly is flashy and weighted, so sparkle minnow's have been the best. The smaller creeks have gotten really low and tough to fish, but will produce in the evenings. The Upper Cle Elum is your best bet for some decent small water action, with fish eating caddis, ants, and small hoppers. As far as any sort of lake fishing, Cooper Lake would be a great place to go to avoid the heat. The lake has been pretty busy with a lot of people paddle boarding, and sitting out on rafts, but if you troll a sinking line and a woolly bugger around structure there are plenty of small rainbows willing to eat. In the evening you can even throw small dries such as mosquito's and adams, or fish a soft hackle just under the surface. Just a heads up, the State boat launch has been pretty rough lately with that side channel running pretty high. You can launch from it, but using it as a takeout is not recommended. If you have any questions or just want to share a fishing report of your own, feel free to call the shop (Ellensburg will be closed on Sunday) or feel free to leave a comment!